McDonnell's regular cartoon feature in Parents magazine has won him millions of fans. 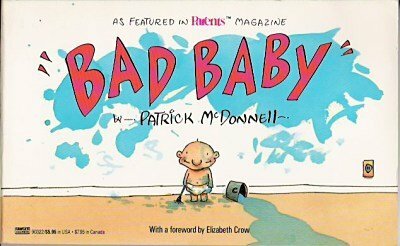 This first collection of "Bad Baby" cartoons shows baby wearing breakfast, redecorating walls, breakdancing the night away, discovering Mommy's make-up kit, and generally ruling the world as he or she sees fit. About Patrick McDonnell (Author) : Patrick McDonnell is a published author and an illustrator of children's books. Some of the published credits of Patrick McDonnell include South, Hug Time.